Not perhaps what you would expect when you shake hands with a high school student, but many, right here in Chattanooga, are seen as the future of a national conservation effort—and they are being recognized at the national land conservation conference held this year in Minnesota. 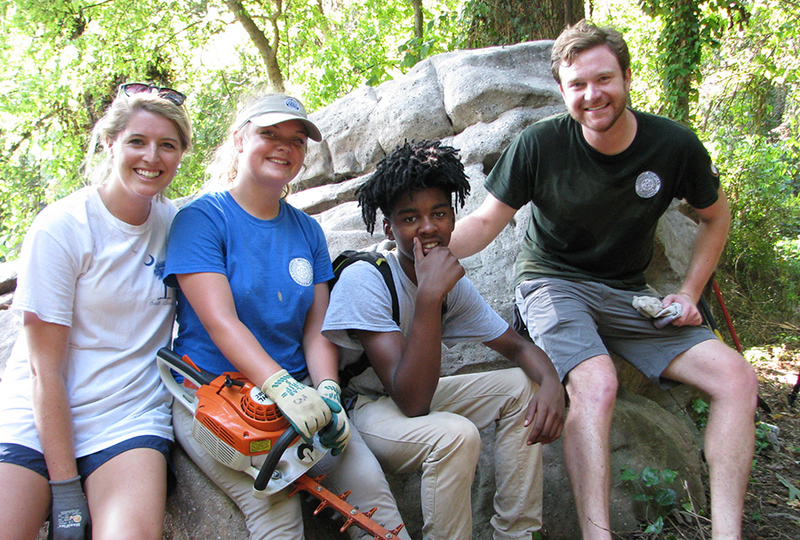 Working together, under the guidance of Robyn Carlton, CEO of Lookout Mountain Conservancy, The Howard School interns are making headway in their efforts to take back Lookout Mountain from the highly invasive vine, kudzu, while creating hiking trails for families and individuals seeking fun outside. But it’s much more than trail building and cutting acres of nasty plants that’s gaining them national attention. The Howard School interns are participating in a leadership program that is resulting in 100% high school graduation rates in a part of Chattanooga where graduation rates are often lower than 50%. The leadership program is using land conservation, specifically the conservation and restoration of Lookout Mountain, to heal, inspire, and connect people from all walks of life. Rotaracts with interns on the mountain. The program teams up with other leaders in the Chattanooga community among them the Rotaracts, the young professional who are service driven. 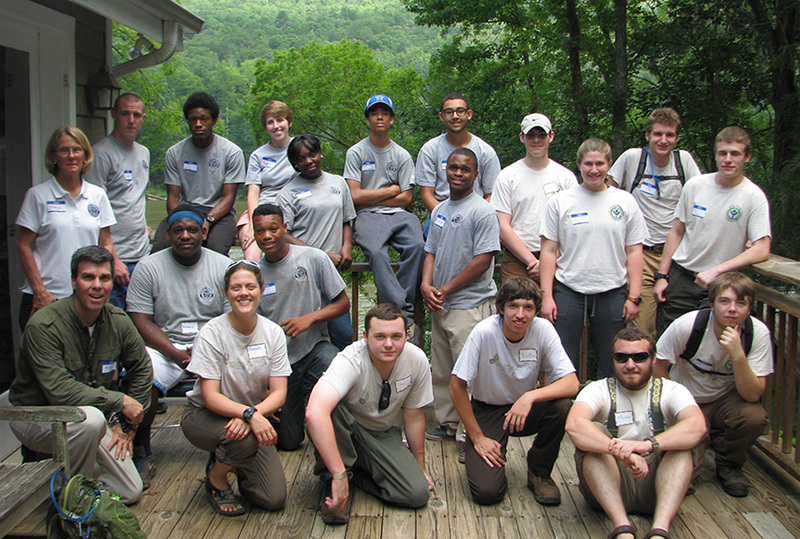 These men and women volunteer their time, working on the Mountain, side-by-side with The Howard School interns, pulling out vines, raking trails, hauling brush; getting to know the interns and learning about their challenges and dreams. 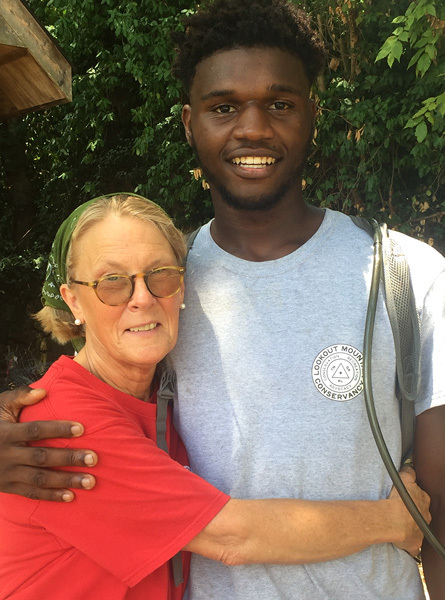 Off the Mountain, the Rotaracts raise awareness for the conservancy and mentor the interns, providing opportunities for field trips and creating connections to other professionals in the Chattanooga community. An intern taking his studies seriously. Data from the study Chattanooga 2.0 confirms what many already know: graduating from high school and going on for advanced training, which may include a college degree, can significantly increase the odds of obtaining a well-paying job and avoiding a cycle of poverty. Ms. Carlton is quick to recognize the leadership of The Howard School teachers, noting that they understood how this creative approach to learning was a tremendous opportunity for their students and their school. Land is the most healing resource that is so under utilized...This is the environment to where I truly believe solutions are to be birthed, says Robyn Carlton. The program is now obtaining national recognition as the Lookout Mountain Conservancy and The Howard School Interns will be the key-note speakers, and featured in a short film, at the national land conservation conference this month in Minneapolis, Minnesota. The three-day conference will be attended by approximately 2,000 people from around the country as well as several other countries. “Conservation organizations like Lookout Mountain Conservancy are working to conserve special places in their communities, using land and water as a way to address community issues and challenges,” explained Ms. Carlton. 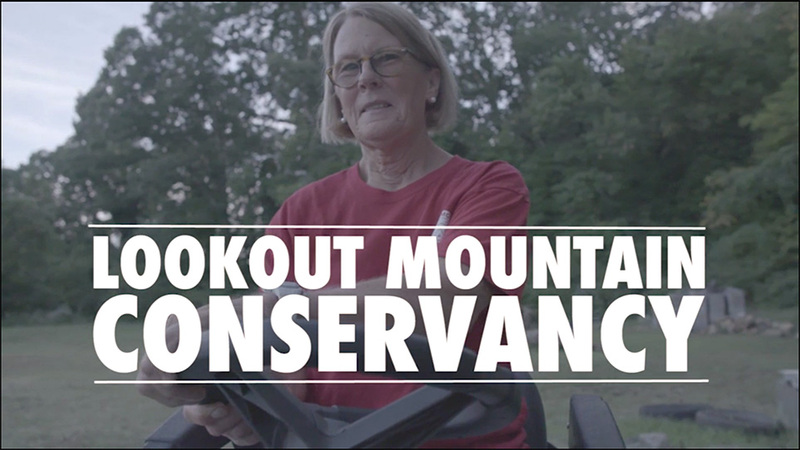 In addition to helping establish a park for public enjoyment on Lookout Mountain, Lookout Mountain Conservancy also assists landowners in conserving their land within the Lookout Mountain watershed. Community-based organizations like Lookout Mountain Conservancy are called land trusts. They work in partnership with local landowners, communities, and businesses on a voluntary basis to help protect local farms, woodlands, wildlife habitat, fresh water, and recreational lands. 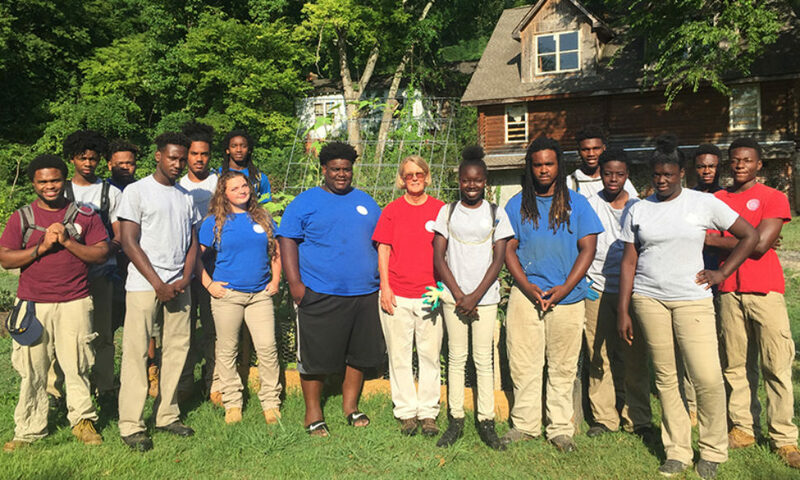 The big shift in conservation, to Ms. Carlton, is many land trusts are working to create community partnerships to directly enhance the lives of those who might not otherwise have seen the benefits from the land trust’s conservation efforts. More students would like to become part of the program which runs year-round, provides a modest hourly stipend for working on the Mountain, and involves additional academic and leadership coaching, including over school breaks and on Saturdays. In the meantime, 2,000 people at the national land conservation conference will hear directly from The Howard School interns, Zac Brown, Assistant Superintendent of the Hamilton County Department of Education and former principal at The Howard School, and Ms. Carlton, when they convey how Lookout Mountain has become a place of learning, leadership and teamwork in a way that is changing their lives.